Treasury of Word and Meaning (Tib. ཚིག་དོན་མཛོད་, Tsik Dön Dzö, Wyl. 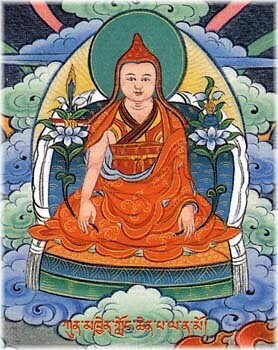 tshig don mdzod) — one of the Seven Treasuries of Longchenpa. It is a summary of the Treasury of the Supreme Vehicle, explaining the crucial points of practice. Only the Innermost, Unexcelled Cycle of the Upadesha Class contains the complete instructions on tögal practice, and the text that gives the clearest and most explicit explanation of them is the Tsig Don Dzöd. The treasury itself is composed of eleven themes, or vajra topics, which cover everything from the ground of Dzogchen, the origin of delusion, the buddha nature, its location, the light channels, the gateways, space and wisdom, the practice, signs of realization, dying and the bardo of dharmatā, and the “great liberation”. Every single detail is covered, which is what makes this Treasury unique. ultimate fruition as the manifest realization of the kayas. Tulku Thondup, The Practice of Dzogchen, Ithaca: Snow Lion, 1989, pp. 205-213, pp. 400-401 and pp. 413-420 (includes an abridged translation of chapter 11). This page was last edited on 4 September 2017, at 21:15.